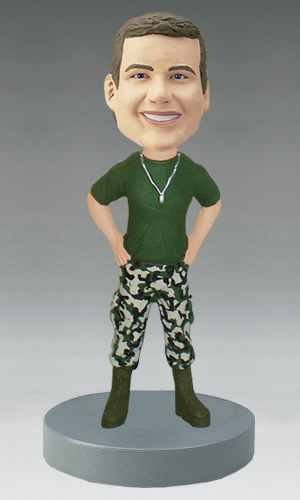 This is the perfect custom bobblehead for families with deployed men, families with members in the reserves, or someone that knows a proud veteran. This imposing military man in camouflage can be made to look like your soldier by uploading his picture. With his hands on his hips and a dogtag around his neck, he looks every inch the hero he is.